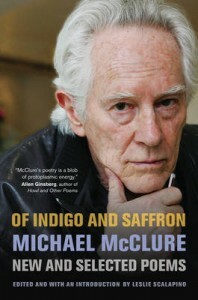 Michael McClure is a Beat Generation poet, playwright and songwriter. 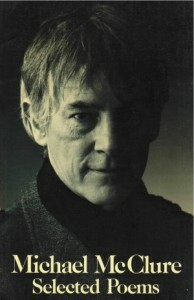 Ray Manzarek is a founding member of The Doors, songwriter and music producer. 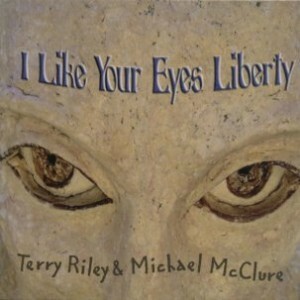 Together with flautist Larry Kassin, they take their loyal fans on a musical mind expanding journey with their creations. 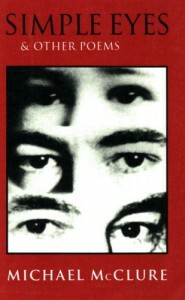 Their collaboration was documented in the Oglio Home Video release “The Third Mind” and brought to life in this all new album of thought provoking poetry. 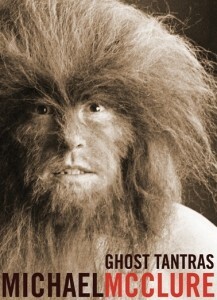 THERE’S A WORD! 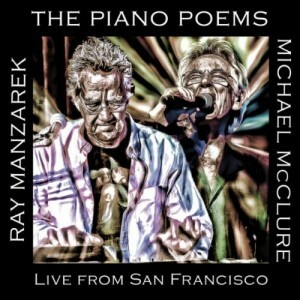 captures a seventy-minute live concert by Ray Manzarek & Michael McClure on CD. 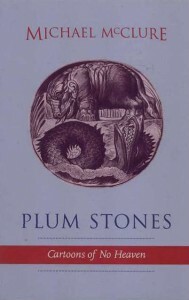 Larry Kassin’s flute adds dimension to this vibrant performance. 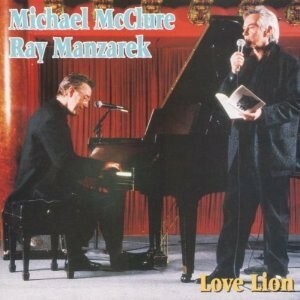 “Ray and I are bringing the together the words and the notes that shape them. There’s no way to be human without a politics or an anti-politics, without Art, anger, and generosity, without humor and kindness. That’s the edge! 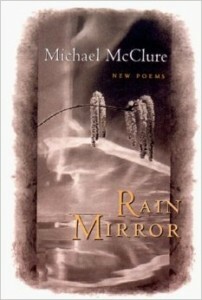 “Rain Mirror,” writes Michael McClure, stands as my most bare and forthright book. 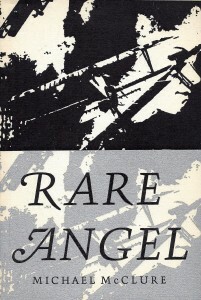 It contains two long poems, ‘Haiku Edge’ and ‘Crisis Blossom,’ which are quite disparate from one another.” Together, the poems complement each other as so light and dark. 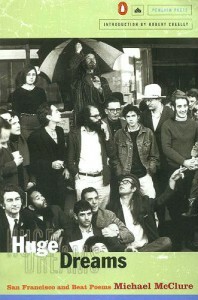 HUGE DREAMS brings back two books, long out of print, that are a cornerstone of the Beat movement. 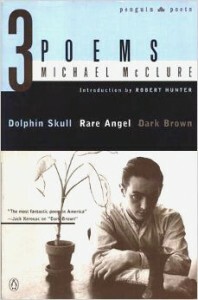 Penguin Poets presents “Dolphin Skull,” Michael McClure’s newest long poem of the imagination, published here for the first time with two of McClure’s earlier works. 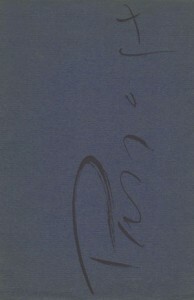 Spontaneously written with long gazes into the unconscious, it is also an exploration of the fullness of memory in the present moment. 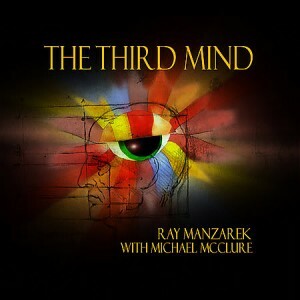 The Third Mind, directed by William Tyler Smith, is a documentary focusing on the collaboration of Michael McClure and Ray Manzarek. 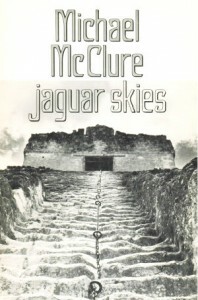 “NOW IT IS TIME FOR A NATION,/…a spiritual nation/based/and formed on open freedom,/on flesh and biology…” The antipolitical activism, biologically based aesthetics, and exuberantly sensuous spirituality that have won Michael McClure acclaim since the birth of the San Francisco poetry renaissance in 1955 are affirmed with new range and eloquence in Fragments of Perseus. 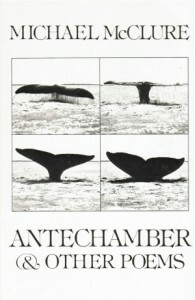 Antechamber and Other Poems joins a growing list of contributions that includes the verse collection September Blackberries (1974) and Jaguar Skies (1975) as well as the musical play Gorf (1976). 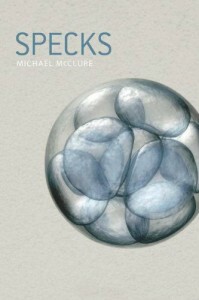 His writing in recent years is “alchemical” in its intent, yet his twin declarations, “Biology is Politics” and “I Am A Mammal Patriot,” perhaps express more accurately both the universality of his outlook and its human particularity. 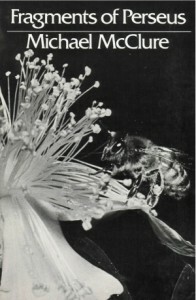 Biochemical investigations—concerns with the shapes and meanings of bodies— are inseparable from poetics. 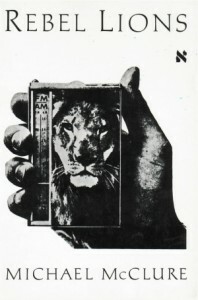 Experience in all times and spaces is the mainstream. 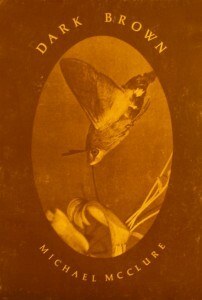 The ability to sensorially perceive without the constraint of traditional, modern proportions is the joy of the yogin, the adept, the poet, and the scientist of meat. 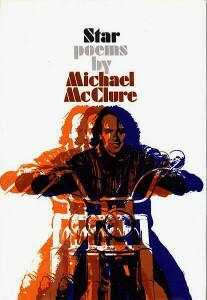 The poetry of Michael McClure is a highly personal statement, moving from the visionary to the polemical, the abstract to the graphic, a poetry which Allen Ginsberg called “a blob of protoplasmic energy.” His style manifests itself in eccentric punctuation, capital letters, and “beast” sounds; words become action, forcing the objects of his poems into abstraction or materializing themselves into forms. 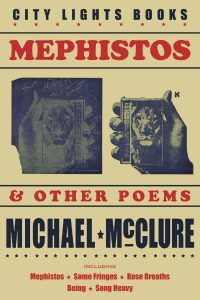 The poetry of Michael McClure is a highly personal statement, moving from the visionary to the polemical, the abstract to the graphic. 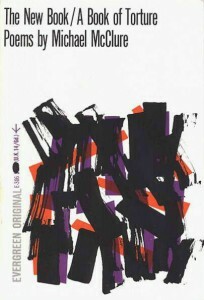 His freedom of style, eccentric punctuation, and use of capital letters are an intrinsic part of his emphatic gesture; words become action, forcing objects into abstraction or materializing words into forms. 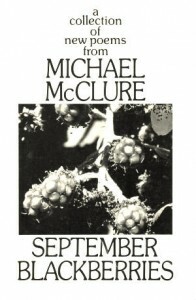 Michael McClure’s first book, Passage was published by Jonathan Williams in Big Sur. 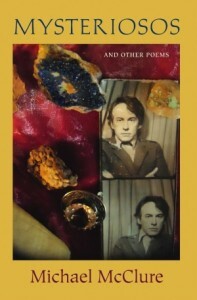 It includes six poems.